First off all, I have loved using my Clinique High Impact mascara. 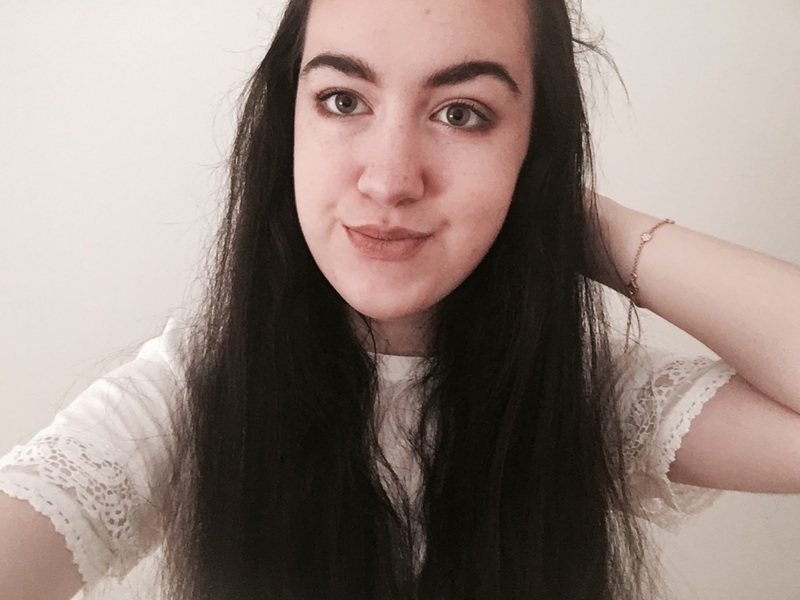 A few months ago, I mentioned the Maybelline Lash Sensational Mascara as a favourite. I said in that favourites that it 'didn't clump at all'. A couple of months down the line and all of a sudden my opinion of this mascara completely changed. It clumped a lot and I needed a replacement because I didn't enjoy using it anymore. Enter the Clinique mascara. I had actually tried this mascara as a sample size a few months before, and when I saw it on my holiday in August cheaper than you could buy it at home, I couldn't resist. I'm so glad I bought it because I have really enjoyed using it this month and is definitely worth the price. I have also been loving the Zoella Beauty Candy Dream softening body lotion. It is part of her Tutti Fruity Range. It feels so good and smells incredible (along with the rest of her range, of course). I have really enjoyed using it this month! 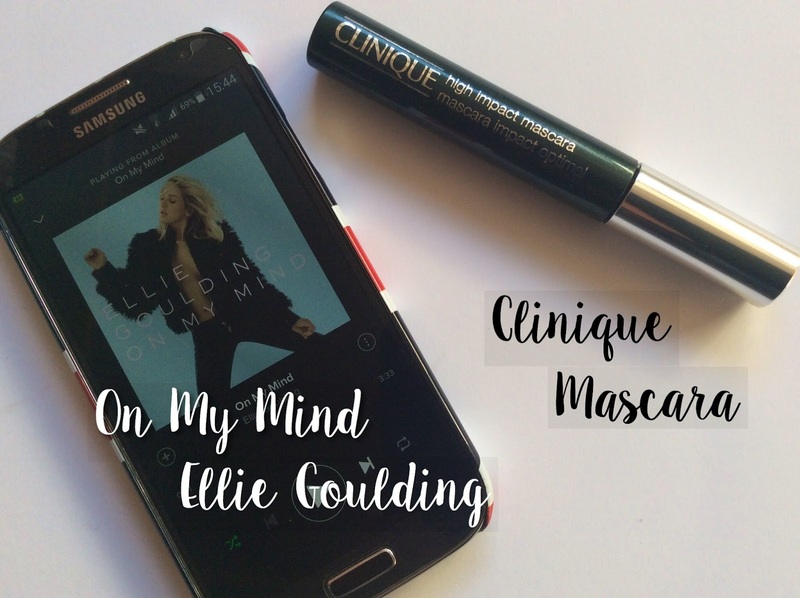 My music favourite this month is the song On My Mind by Ellie Goulding. It is my favourite song this month, I really love it and can't wait for more new music from Ellie. I have also been loving the song Infinity by One Direction. I'm very excited for seeing them live (only 2 days away now!!) so I'm sure you'll be hearing about that soon. 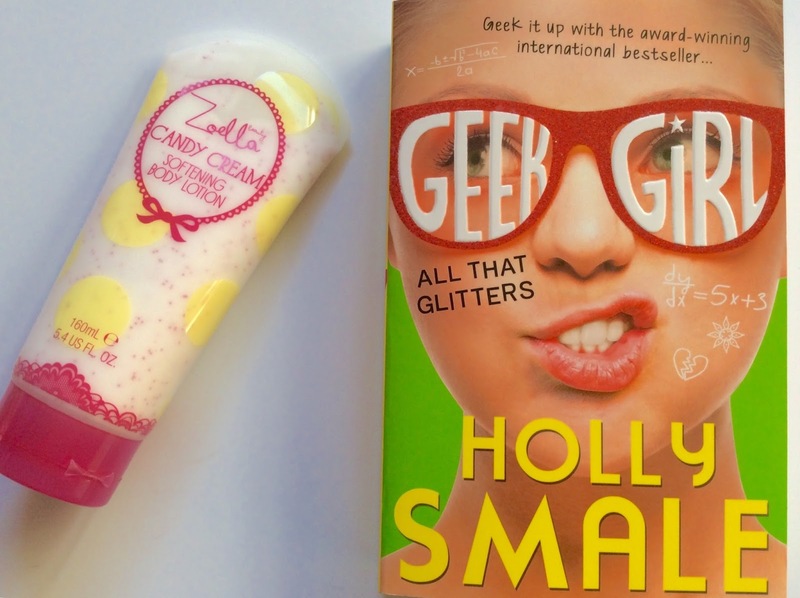 My final favourite is Geek Girl: All That Glitters by Holly Smale. Because I have been busy back at school it is actually the only book I have read this month. It is a hilarious book with amazing characters and I have actually already done a review of it here if you would like to hear more. 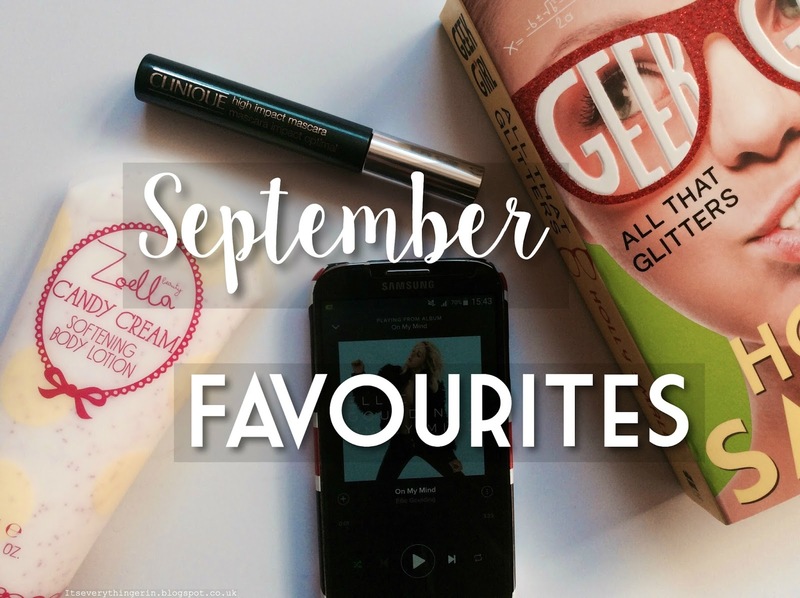 So that's just about everything I've loved this September! As always, let me know your favourites in the comments below, I love reading them! Love that mascara! Haven't used it in ages but it was one of the first I tried so it holds a special place in my heart. Omg i love the geek girl series!